Synopsis: A bride's cold feet, a mother seeking her daughter's savior and a downtown New York City nightclub that disappears. Three women face the battles of their time - AIDS, alienation, commitment, loyalty and rootlessness - armed only with the power of love and friendship. EDEN is the story of Maura's search for the man she is certain saved her from death in the Holocaust in hope he can save her daughter, Cecelia, who is HIV-positive. 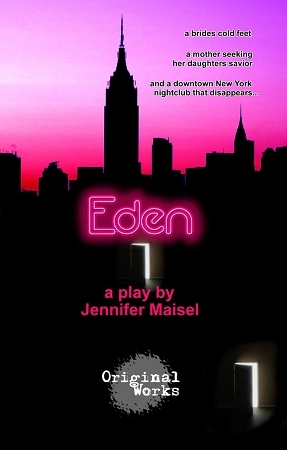 It is the story of Cecelia, who escapes to a club called Eden, waiting to die until she can somehow learn to live. It is the story of Cecelia's two closest friends who, on the verge of love, can't love without her. Their stories are woven together by Harvey - executor of divine coincidence - who must somehow bring these women and their loves together in the few hours before the wedding takes place.